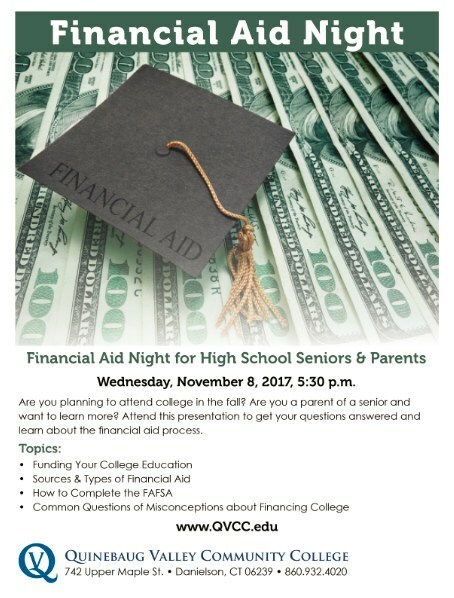 Wednesday, November 8, 2017, 5:30 p.m.
learn about the fi nancial aid process. Are you planning to attend college in the fall? Are you a parent of a senior and want to learn more? Attend this presentation to get your questions answered and learn about the financial aid process.